Another favorite of mine is the Edmund 1-1/8" Kellner. It pre-dates the similar RKE, and is not a RKE but a Type III Kellner, much like a Plossl with symmetrical achromats. I like that one too! I have it in my Edmund Amici prism diagonal in the 50mm RACI finder on my OT C8. 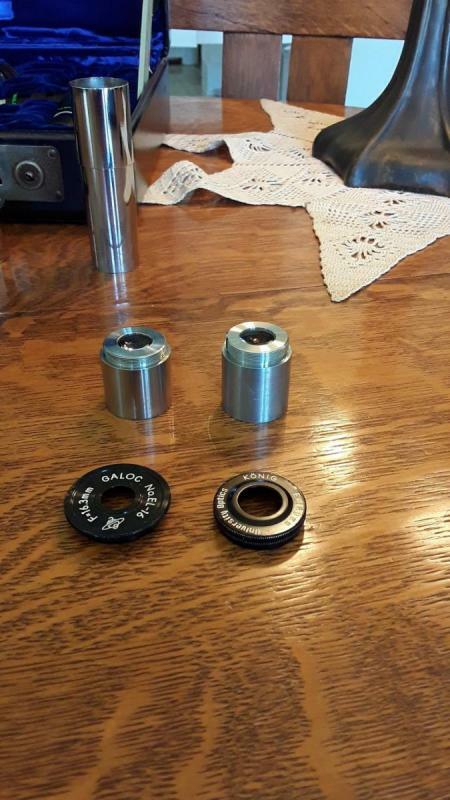 Here are several steps in the evolution of the 28mm RKE. 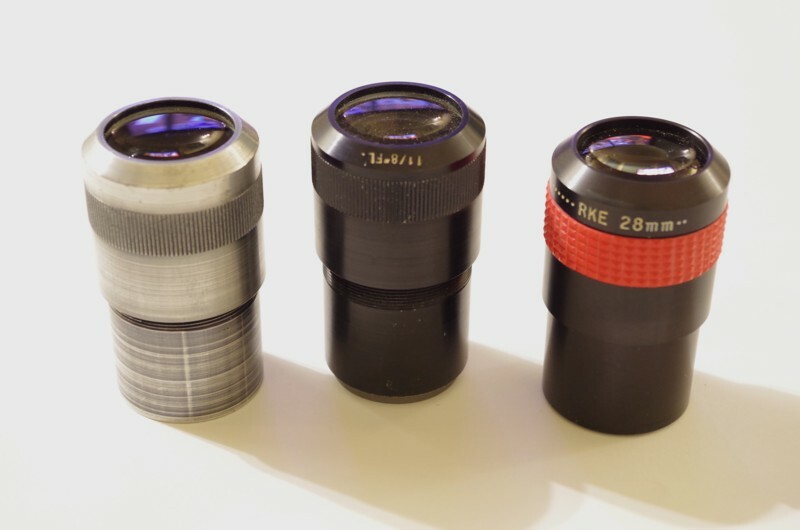 The eyepiece was at various times a Kellner, as well as a Plossl, both made from government surplus lenses. All are very good. 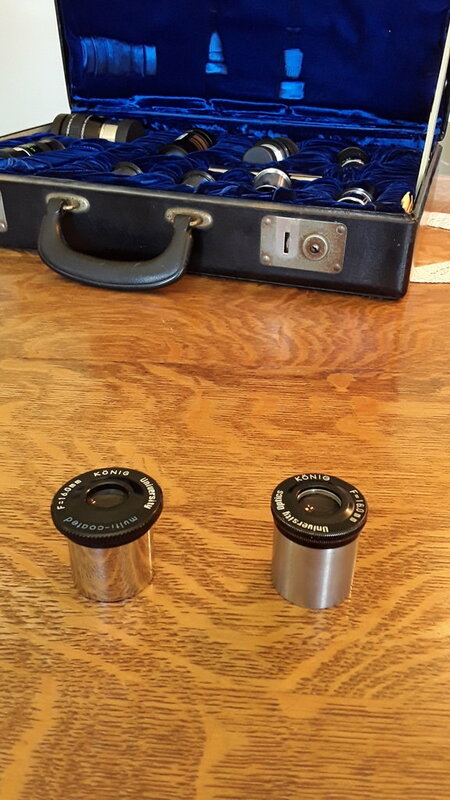 Note that the middle one has had a glass crossline reticle installed, I've converted it to a finder eyepiece (I have another of the same configuration for regular use). I actually like the Huygens and Kellners that come with classic scopes. Part of the ethos. 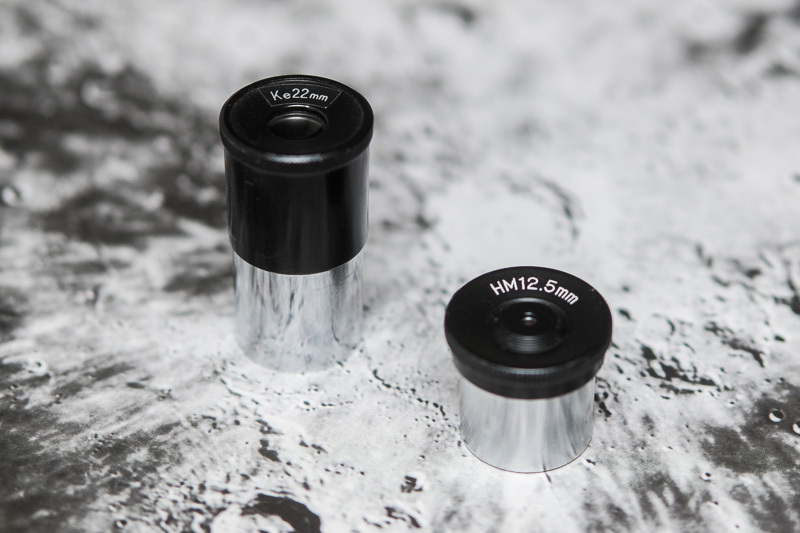 The H12.5mm and K22mm are great eyepieces. I have recently observed with a Kellner 22mm and a HM 12.5mm. 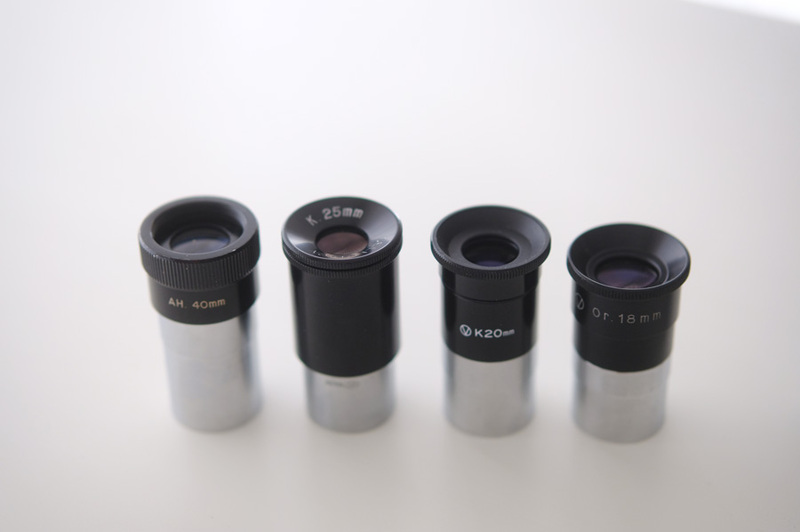 I think it's hard to pin down which eyepiece one exactly is talking about as those .965s come in so many flavors. 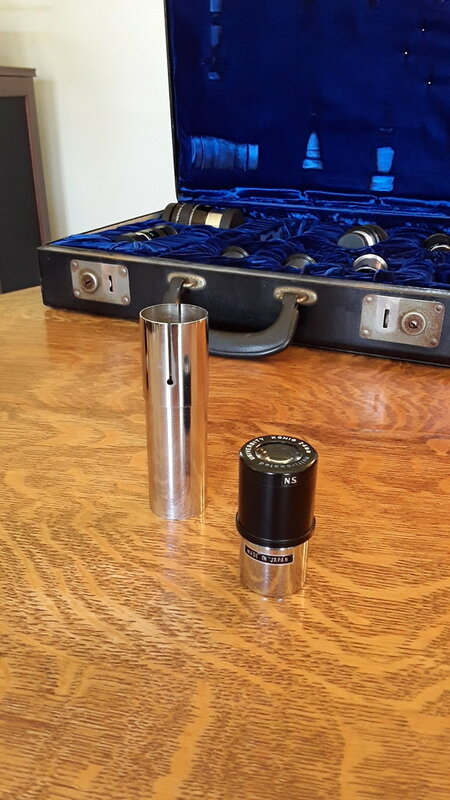 Now we've seen already so many great 1 1/4" eyepieces mentioned in this thread. Who can argue about smooth-side Televues or those beautiful volcano top Erfles ... but it's also great to stick to .965"s, maybe it because the scope can't be easily converted, or maybe because you just want the "real" classic observing experience. Edited by memento, 13 June 2018 - 11:08 AM. Much as I like my classic EP’s, they don’t get used all that much. Between ES 82deg , XWs and Naglers the classic EP’s don’t get much use. Still use them at home on planets. The 32mm TV smoothie is still my favorite low power 1.25 EP. Good as my Vintage Orthos are.. wide fields and more eye relief win for outreach. I did a direct comparo of 6.7mm Meade UWA, an excellent eyepiece, and a 6mm Ortho on Mars the other night in a long refractor with outstanding optics. The Ortho was the clear winner on contrast and detail, although the UWA put up a good fight. Next time I will compare that Ortho to a 6mm Huygens. I expect the latter to win. 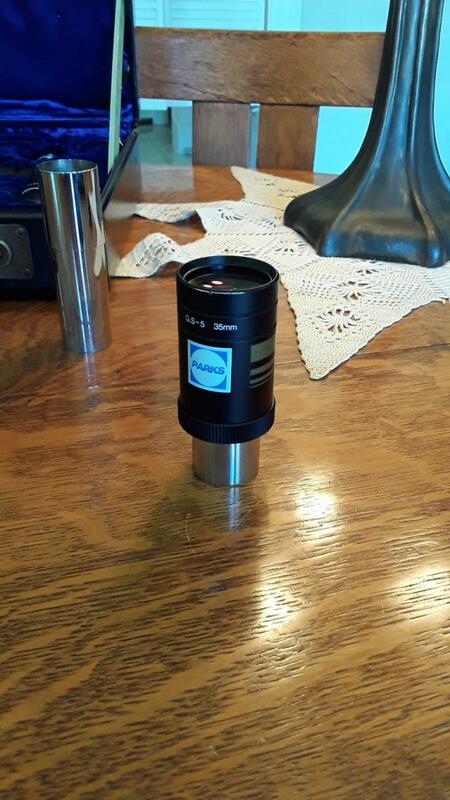 My favorite wide field classics eyepiece would be the Meade RG 20mm wf from 1978. Really?? No coatings, ghosts, little or no blackening, poor spot diagram compared to an Ortho. Very little care taken on the polish of those I'm sure. How about negative eye relief? Yup! In the center it's fine! Amazing eh? I have a couple of 0.965” Zeiss huygens (25mm and 16mm) that put up a fine image. Still, in a side-by-side or consecutive comparison, the 25mm and 16mm CZJ orthos are better. I have a University Optics 8-24 ortho zoom that is amazing considering what they cost, real cheap compared to today's eyepieces. It has a sharp view all the way through the range. 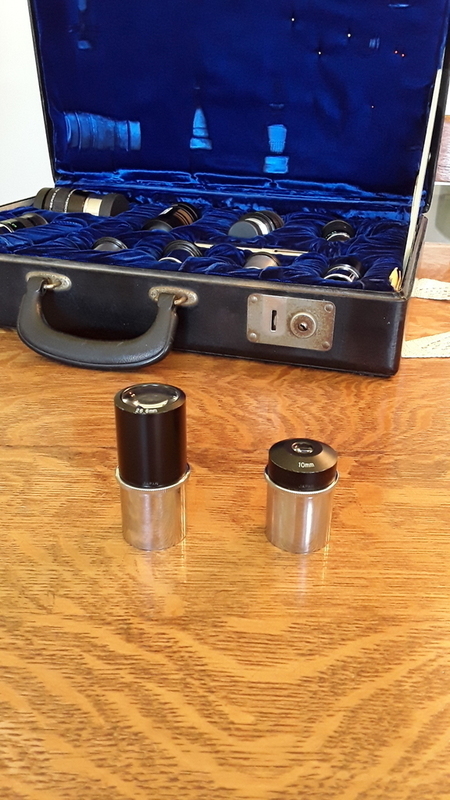 I also have some celestron silver tops, and vixen/celestron, 18mm, 12mm, 9mm and 6 mm orthos. I don't know if they are considered classics, but they aren't available anymore and I've had them for ten years or more: Orion Optiluxe. My caveat is use them is slow scopes, they don't play well with fast objectives. My new-to-me Pentax 18mm orthoscopic is perhaps the best eye piece I've ever owned. It's so small I worry I'll lose it if I drop it. I have an unbranded 40mm Kellner with a brass barrel that is amazingly sharp and bright on axis. I like to use it even though I have three other higher-tech choices at that focal length. 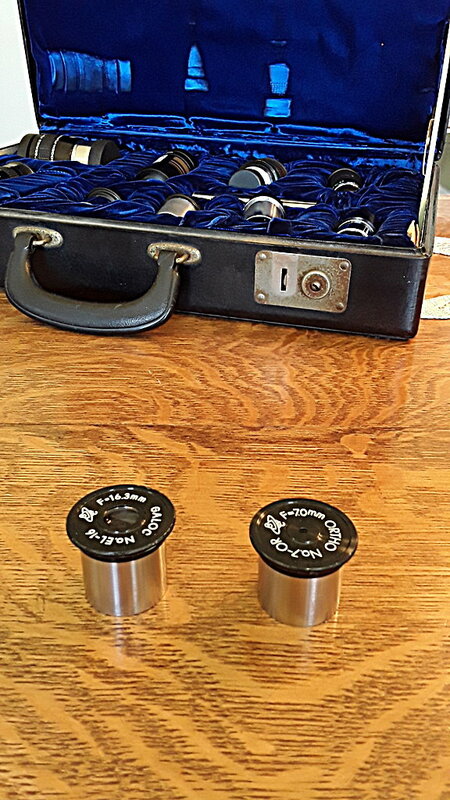 Our club owns a few Clave Plossls and there is something magic about them. I don't know which iteration they are though. Nowadays, as much as I like the 8mm Brandon I find the eye relief a little tight and prefer to barlow the 24mm and 16mm with the 2.4x Dakin barlow. This gives me a range of 24mm, 16mm, 10mm, and 6.6mm. I also have that Dakin Barlow. My much newer Celestron 2x hasn't touch a scope since I got the Dakin. These Cave Orthostar eps (26.6 and 10mm) came with my new Cave 10." They look like Meade Research Grade Ortho eps with chrome rather than brushed barrels. Later: Cave Orthostars cannot be the same as Meade RG's. Othostars focal lengths of 26.6 and 10mm don't match the focal lengths of the RG's, which are 32, 28, 20, and 10.5mm, among others. Edited by KentTolley, 14 June 2018 - 12:04 PM. when we are all done commenting on which ones we like best we should see which end up in the top ten. So far, UO orthos, Zeiss orthos, or anything labeled ortho seems to be in the lead. One reason they always win is eye comfort. It's not just eye relief - it's SAEP, spherical aberration of the exit pupil. They have none! It's like looking out a window. The view is comparable to that in a microscope. It's a shame that marketing has sold everyone the necessity of 100 degree fields. I'd like to see Konigs and Galocs with modern coatings make a comeback. The other issue is those 100 degree eyepieces are heavier than the scope they are being used in. 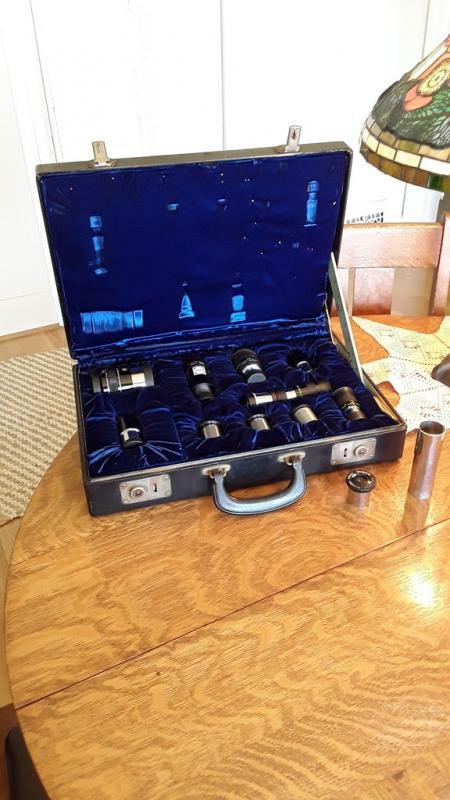 Two Gailland eyepieces also came with the Cave 10"
The Cave Astrola barlow as well. I swear it's the same as the Gailland barlow minus the logo and in chrome rather than brushed finish. Edited by KentTolley, 13 June 2018 - 03:06 PM. Two Meade flat tops. One very early version which looks the same as the Gailland 16.3 Galoc. Thanks. I made it from an old school briefcase, filled with foam and covered in blue velvet. I've had it since the 70's but now I can't fit in all my oculars. This Parks GS 35mm is marginally vintage if you stretch but it gives me an 50 power (for 68" FL scope) and 35x (48" FL) and is a pleasure to view low power, wide angle and doesn't unbalance my scope by its sheer weight. Edited by KentTolley, 13 June 2018 - 03:50 PM. Here they all snug in their little beds with 2 that don't fit. Just what scope might that have been ? Myself, ortho's (UO, Meade Series2 and RG) have been losers to my T-6 Naglers when I've hoped they would improve the views of the planets. But my scopes are typically on the faster side of things where eyepieces like the Naglers are at their best. My slowest planetary reflector is F/5.5. They look like Meade Research Grade eps with chrome rather than brushed barrels. Agreed, nice case. Your eye pieces look positively pampered in there. It almost looks like you should have a little kid with wedding ring bearer experience to carry that case for you. Mr. Isaacs hints at an important point: what scopes are all these favorite classic eye pieces being used with? Lots of classic eye pieces are enjoyable at f/12, but not so good at f/5. I'll start below. Edited by macdonjh, 13 June 2018 - 04:40 PM.